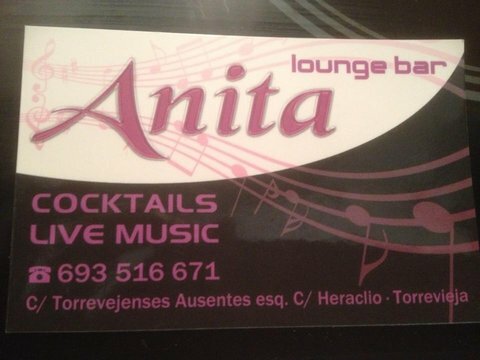 ‘Anita Lounge Bar’ is a music bar located in the heart of Torrevieja city. The friendly and warm atmosphere of the bar, accompanied by live music from Anita and Bob, make this lounge bar the most romantic and cosy bar in town. ‘Anita Loung Bar’ offers a variety of exotic and international cocktails and also serves delicious and generous snacks such as salads, burgers and ice cream. The bar is owned by the international duo Anita & Bob. Anita is an Italian singer and Bob is a Swedish Pianist/Singer and they both sing in many different styles such as jazz, pop, blues, rock ‘n’ roll, salsa, ballads and evergreens. 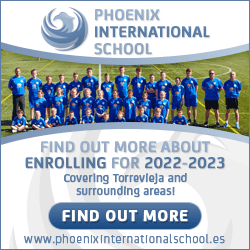 They also sing in a variety of languages which include English, Spanish, Italian, Russian, Swedish and French. LIVE MUSIC EVERY NIGHT FROM 21:00.